 An unlikely banditry duo--a 30ish Irish ÇmigrÇ and a 15-year- old girl who packs a Remington and reads Jane Austen--profit (and lose) in the 1850 railroad wars: Holland's latest gritty, action- thumping tale set in Old Los Angeles (Pacific Street, 1992, etc.). Lily Springbreeze Viner, motherless daughter of a small-time gambler and crook who taught her to shoot but wouldn't allow her to go to school, cherishes her books more than anything else, books that tell her there's a kind of life other than robbing and running. 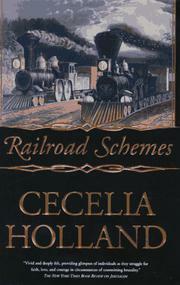 In Nevada territory, when a stagecoach job is planned with red-haired King Callahan, Lily agrees to play a part as long as there's no killing--despite the fact that she'll be riding in the coach with one-armed Brand, the shrewd and dangerous Railroad agent. A killing does take place, and, later, mean Dad gets his--as Lily is snatched away by King, who, to his own surprise, knows he'll take care of her. And eventually, in ``Sonoratown,'' a community of Mexican/Californians, Lily warms up to King. There, in the household of a cantina owner, the widowed Serafa, and her daughters, she finds a home. King and Serafa also have a smoldering affair. Serafa's late husband was a partner of King's, but now she wants King to live a steady, lawful life. Meantime, Brand, treated badly by the bigwigs of the Railroad (though he loved ``the spirit, the sheer will that blasted tunnels through mountains'') is on King's trail. There are minor jobs and a big one looming, but can King--product of a cruel childhood and son of a father hanged for poaching--really ``dance without the storm''? At the close, there are more killings, a tragic resolution, and Lily galloping off alone as Brand ``keeps hold on her with his eyes.'' A rousing, companionable tale with attractive people, full of dash, thundering hoofbeats, and clattering wheels on new-forged rails.